ESA recognizes extraordinary efforts by individuals who participate in its science missions via a special award called the Director of Science Medal. 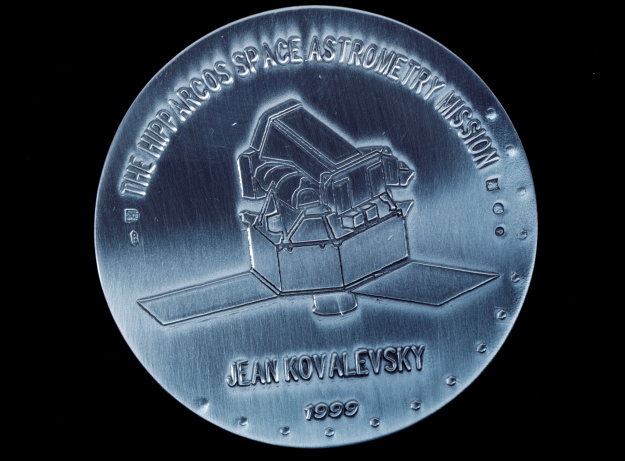 The first four Director of Science medals were presented to Hipparcos team members Erik Høg, Jean Kovalevsky, Lennart Lindegren and Catherine Turon on 19 May 1999. The recipients played essential roles in the conception and execution of the Hipparcos mission, which has revolutionised astronomy by studying the astrometric parameters of over 100 000 stars 200 times more accurately than before. Astrometry is the bedrock of the study of the Universe – the knowledge gained via Hipparcos has affected almost every branch of astronomy. Jean Kovalevsky (Observatoire de la Côte d'Azur, France) led the FAST (Fundamental Astronomy by Space Techniques) Consortium from 1982 to 1997. FAST calculated the positions, distances and motions of the target stars, using data obtained by Hipparcos's main instrument.